We previously reported that the Underworld series, about an eternal war between vampires and werewolves joined in collective struggle against sinister forces turning all colors to varying shades of teal, was getting a reboot. 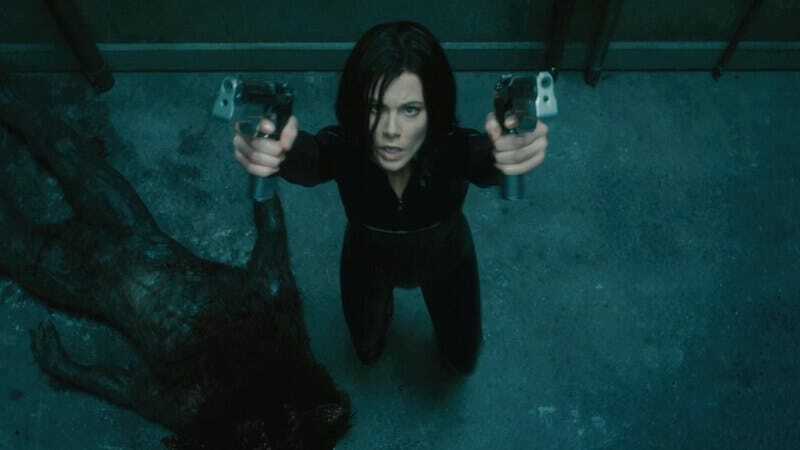 At the time, we suggested the outrageous idea of maybe just continuing the story, given it’s been barely three years since the last one, or what is now the new global measurement of time known as one “Avengers pause.” It looks like someone was listening, because according to The Hollywood Reporter Kate Beckinsale will be returning to reprise her vampire character Selene for the next Underworld film. It’s being written by Cory Goodman (Priest), and now we have word that Anna Foerster has signed on to direct. Given that she’s also reportedly filming the sequel to Source Code, she seems to be the new go-to director for sequels to mid-budget actioners heavy on premise and mythology. It makes sense—she was cinematographer for Roland Emmerich on movies like The Day After Tomorrow and White House Down, so she’s well-versed in slow-motion explosions and comical dialogue, a requisite for this franchise. It’s unclear if this will affect plans for the Underworld TV show also being developed, though the world is clearly far from hitting its limit of vampire and/or werewolf-themed entertainment.